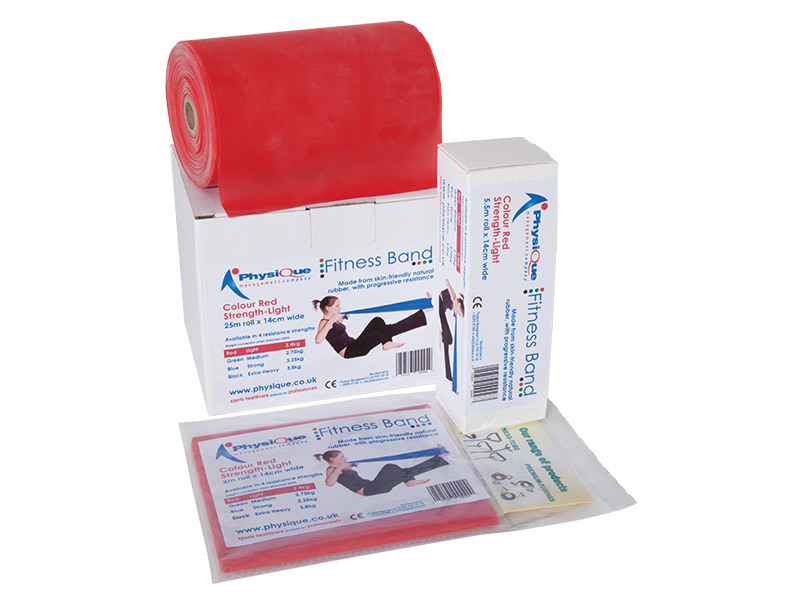 Physique Fitness bands are simple versatile tools designed to help correct body positioning when stretching. They are extra-strong bands that are very effective for each main muscle groups and can be used for a variety of exercises for the whole body. Physique Fitness Bands are extra-strong bands great for stretching, strengthening and toning each of the main muscle groups. They are perfect for a variety of strength, speed, flexibility, mobility and rehabilitation exercises for the lower body, back, chest, shoulders, arms, and core. They're great for ramping up current workout routines and can be easily incorporated into a range of exercises such as squats, crunches, chest press and standing bicep curl. Moreover, they can also be seamlessly intergrated into activities such as cross fit, yoga or Pilates. Available in a variety of strengths to allow for progressive resistance at all levels. Yellow - X Light (Ideal for gentle exercise). Red - Light (Ideal for seniors and children). Green - Medium (Excellent start to exercises). Blue - Strong (The most popular all rounder). Black - Extra Heavy (Late stage rehab). Moreover, our economical strong and skin friendly bands can be easily cut to suit your needs, making it perfect for class instructors who need both longer and shorter bands. 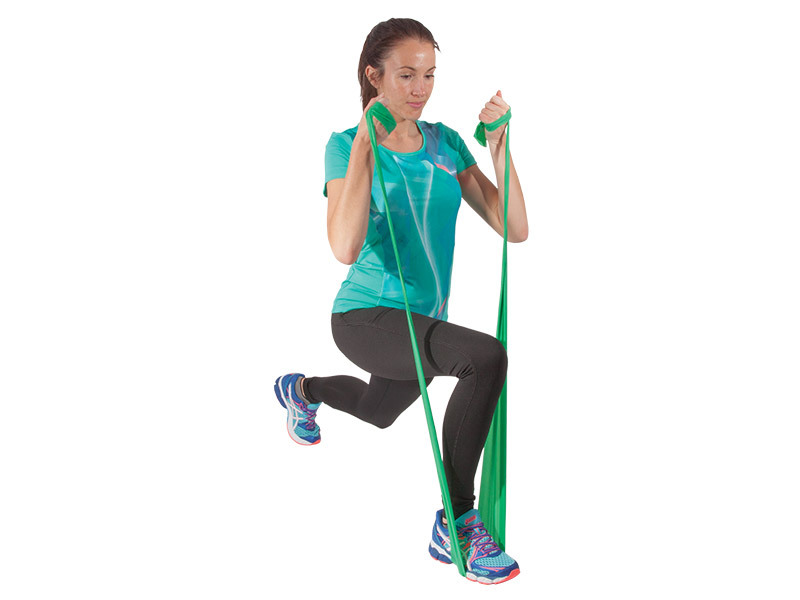 Versatile resistance band allowing you to perform strength and fitness training. Progressive resistance for all strength levels. Made from extremely strong and skin-friendly rubber. Can easily be cut to suit your requirements. Strong and inexpensive way to exercise. Extremely lightweight they are great to pack when travelling. Second time I have ordered this product. Great value and quality. Great to be able to cut own lengths. However, shame about the colour as it's not a nice green, more choice would be great per strength but I appreciate this would likely increase cost. Still a great band. Exactly as described. Just what I need for people taking part in my chair based exercise classes. I can cut different lengths depending on my needs. Very pleased with this item. Bought this for myself so that when I'm taking a chair based exercise class I will be able to have a workout too! Very pleased, nice and wide with plenty of length.